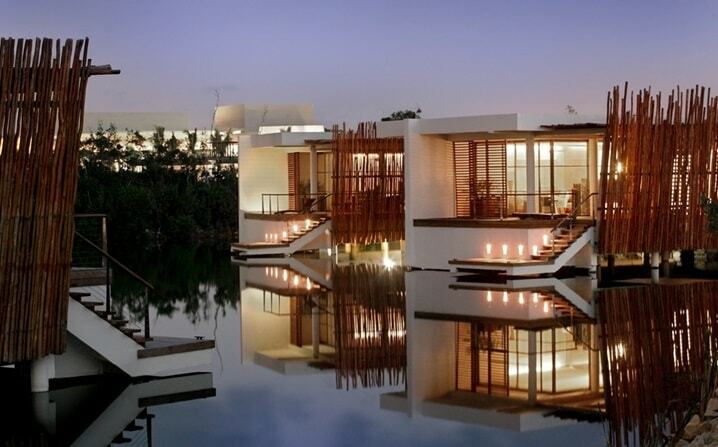 Mexico is the next-door exotic experience you have been longing for. From the ice cold beer and bright colonial villas of San Miguel to the dizzy heights and sizzling smoke of Mexico City’s street food, the thick jungle heat and azure waters of Oaxaca and the golden Mayan temples of Mayapán, this is your chance to taste, feel, breathe and indulge in the heavenly wonders of color and sound that make Mexico such an incredible destination. 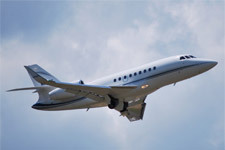 Presidential Private Jet Vacations is waiting to take you soaring into the heart of a great civilization, to a place where on one side you have the blue churning waters and signature ceviche of the Pacific Coast and on the other you have the soft swaying hammocks and amazing snorkeling of the Caribbean. 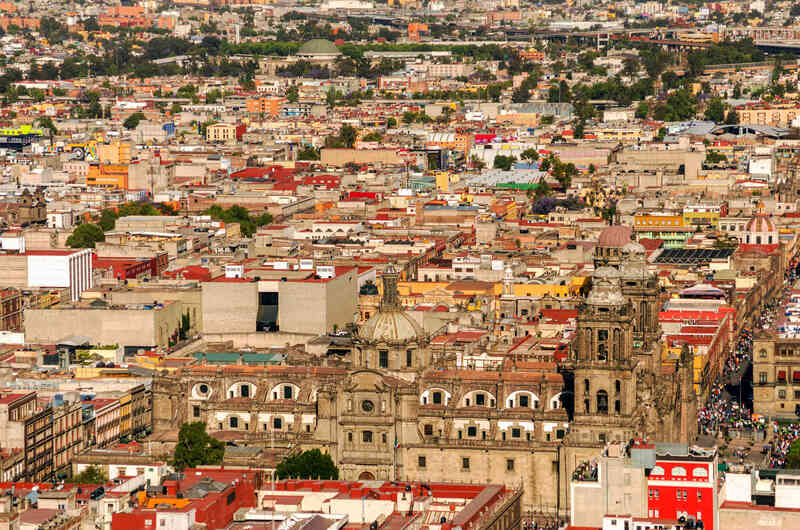 To tiny towns where you can slam tequilas beneath the sultry gaze of stars and to sprawling cities dotted with world-class restaurants and soaked in artistic and bohemian beauty lingering over the frescos of Diego Rivera. 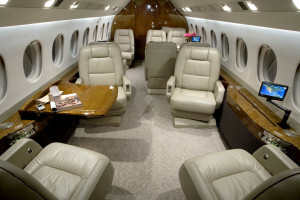 Jetting off from your airport of choice you can enjoy a sassy and stylish flight with Presidential Private Jet Vacations. 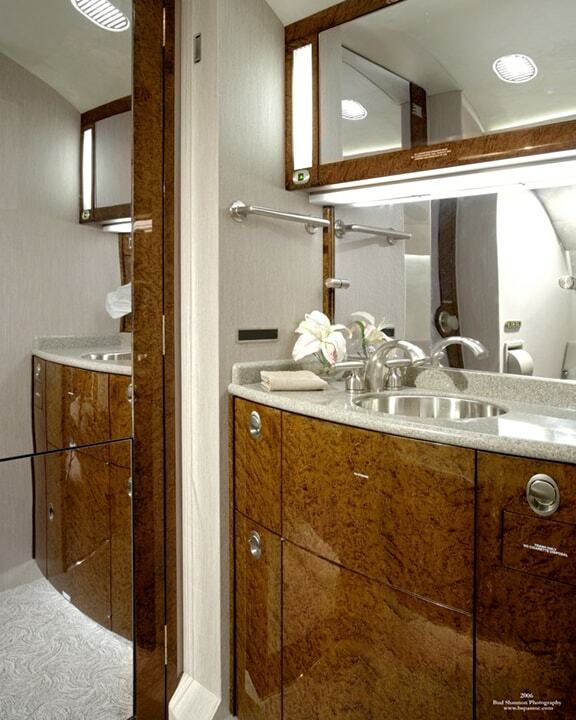 Onboard slip off your shoes, lean back and love the serenity of the clouds as you sip a cool drink and nibble on gourmet snacks gliding to your dream destination. 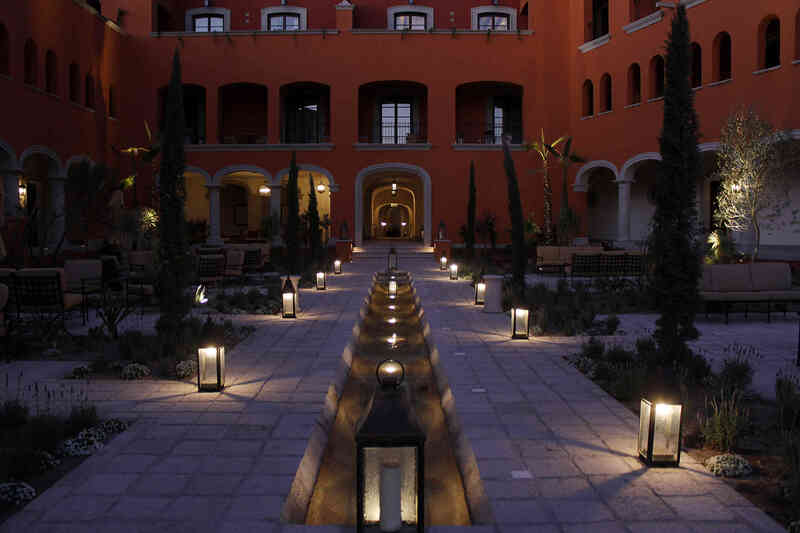 Touching down in the sunlight of the International Airport of Queretaro your driver is waiting to guide you to your own luxury SUV for your journey to your breathtaking San Miguel de Allende hotel. The Rosewood San Miguel sits prettily against the flushed backdrop of cobbled roads, rising church spires and UNESCO wonder. Timeless elegance exudes traditional elegance in rooms where beamed ceilings, open quarry fireplaces and balconies with manicured garden views brings a breath of fresh air. 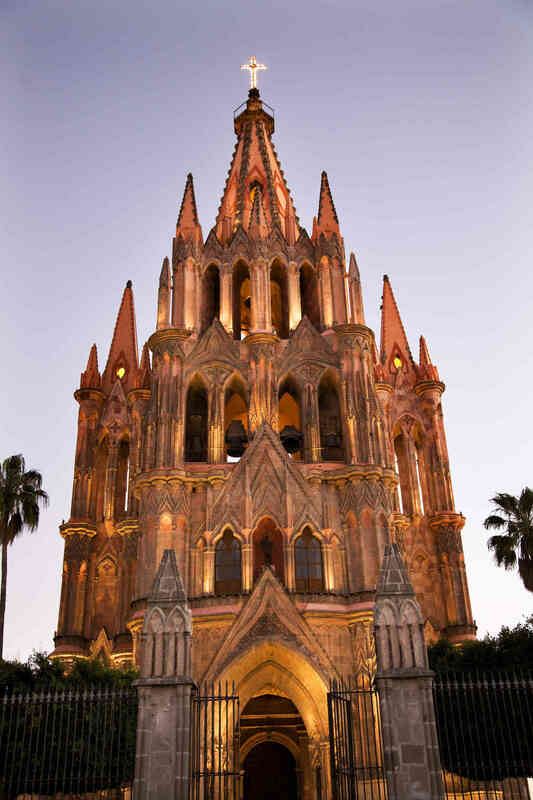 Go on a tour of the city of San Miguel, you can see the rose façade of the Parroquia de San Miguel Arcángel, the gorgeous boutiques and galleries, you can roam the narrow streets and observe the jacaranda trees in full lavender wisp bloom. 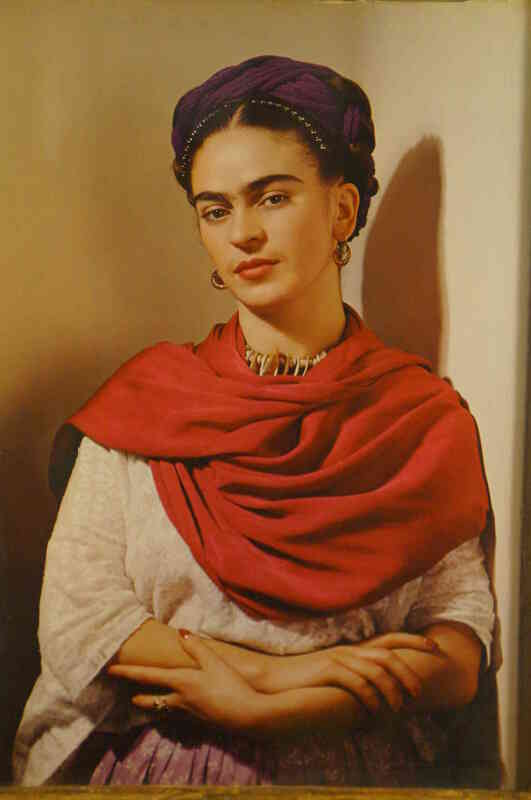 As the day unwinds you can attend an invitation-only exhibition at the Fábrica La Aurora Art and Design Center where you will find the lost journals of the charismatic painter Frida Kahlo. Feeling inspired by the local craft magic and artsy appeal of Mexico, stop in on a private visit to the jewelry workshop and gallery of Bill Harris, a space where native precious stones and evocative metals have been hammered and turned to create queenly statement pieces. 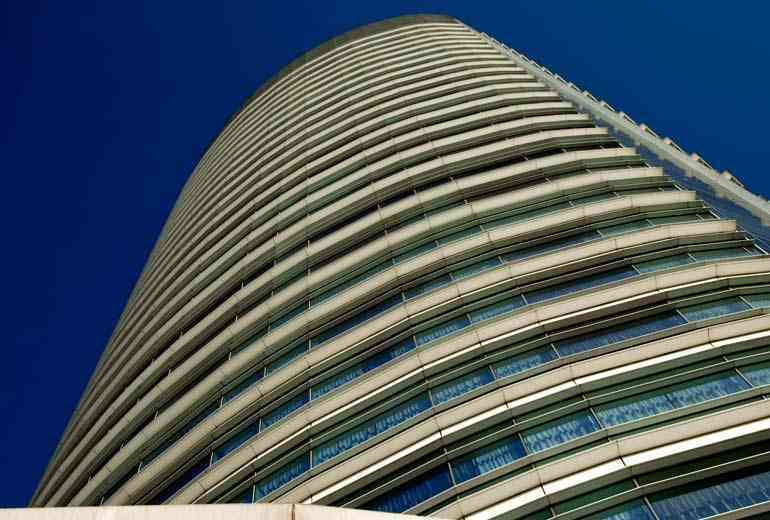 Dinner is suggested across the road from the graceful Rosewood Hotel at the Nextia Restaurant. With an alluring rooftop bar you can sip a glass of crisp wine, feast on locally-sourced produce from renowned Chef Bricio Domínguez and relish your first night beneath the velvet Mexican sky. After a brilliant breakfast at the hotel laced with freshly brewed coffee and fruits, you can prepare for a day of delights exploring the majestic city of Guanajuato. 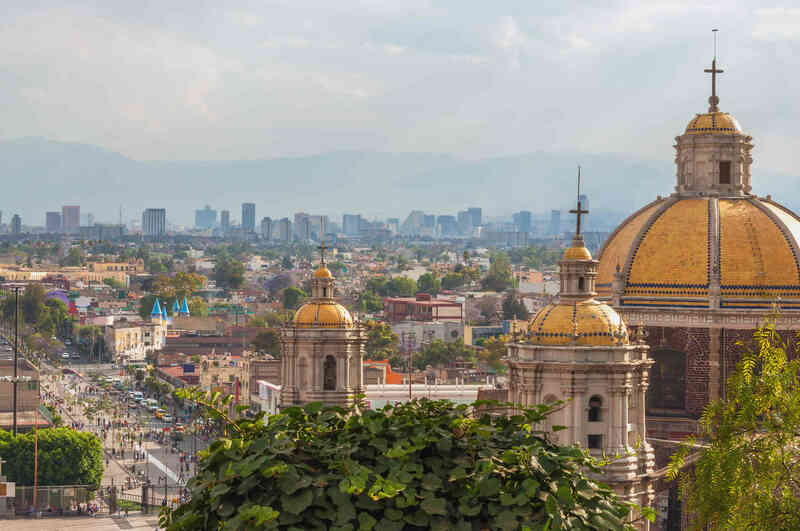 On the luxurious drive you can peer out at the wonders of Mexican life as you ramble through the green and gold glazed scenery that makes Mexico so undulating in its romance. 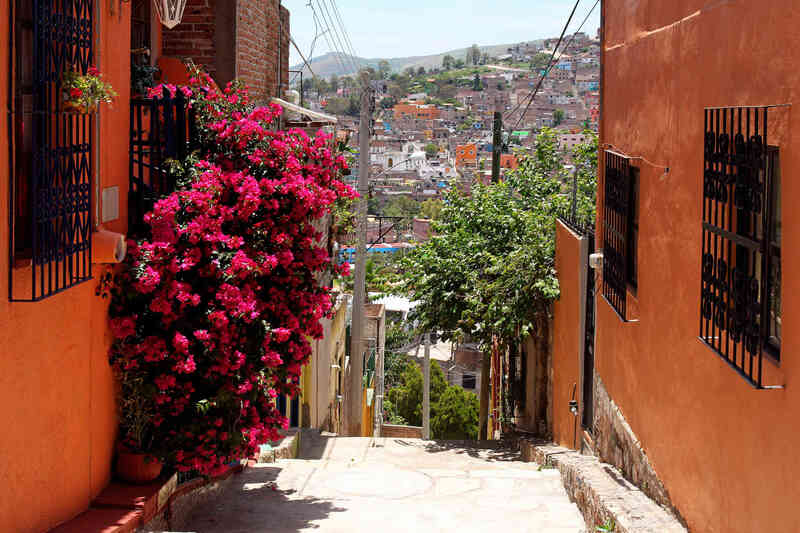 Another UNESCO gem, Guanajuato is a veritable maze of colorful façades, winding alleyways and lively markets. Known as the heart of Mexico this is where you can find the tantalizing flavors of the country’s food heritage. 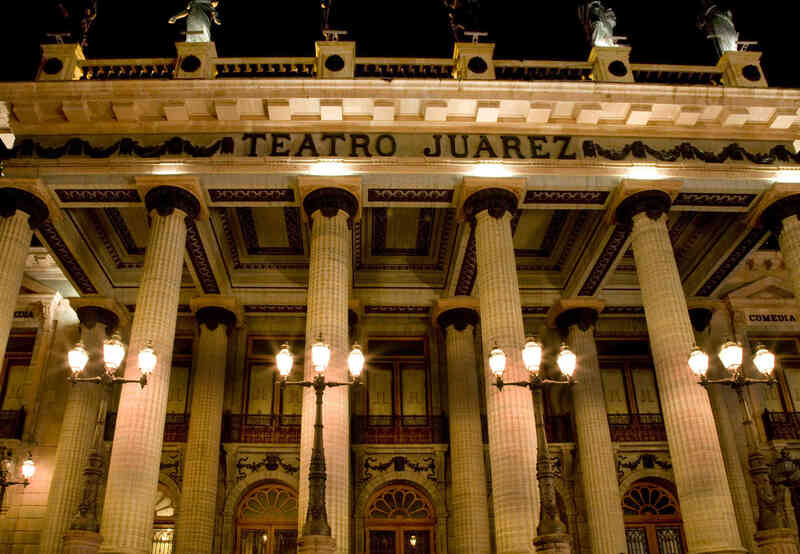 On this behind-the-scenes visit you can tiptoe into the exclusive areas of the city often closed to the public, including the Juárez Theater, the baroque church of San Diego and the house of the famous artist Diego Rivera. 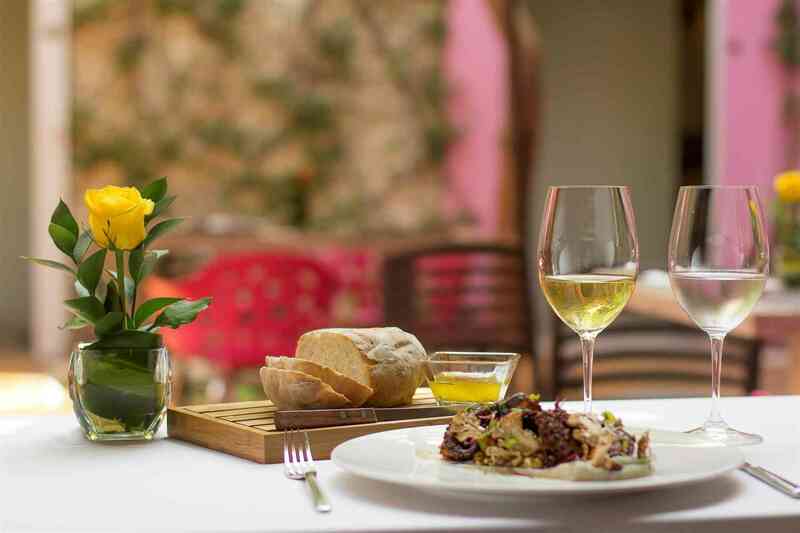 Lunch will be a heady affair at the La Taula Restaurant where innovative and inspired Chef Antonio Castañón ensures that the palate is ideally complemented with grilled meats and fresh fish all paired with bespoke wines from the overflowing prestigious cellar. After lunch the creative exploration of the city continues as you have the opportunity to contemplate the notable collection of artwork on show at the Don Quijote de la Mancha. 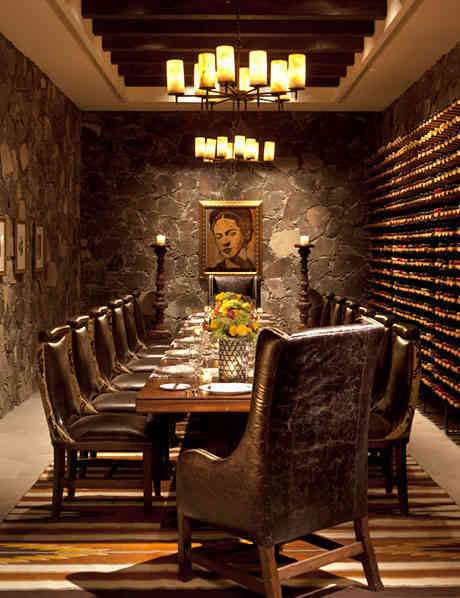 Returning to the hotel this evening you can freshen up for an exquisite event dinner in the magnificent wine cellar of The Rosewood Hotel. 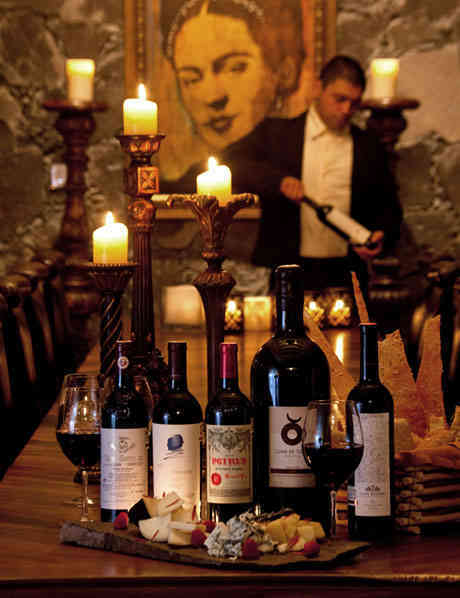 The walls are decorated with evocative images of the beloved Frida Kahlo, over eight hundred bottles crowd the shelves and menus are perfectly tailored to bring you the best in savory Mexican cuisine with signature tequilas and fine wines to make it a night to remember. 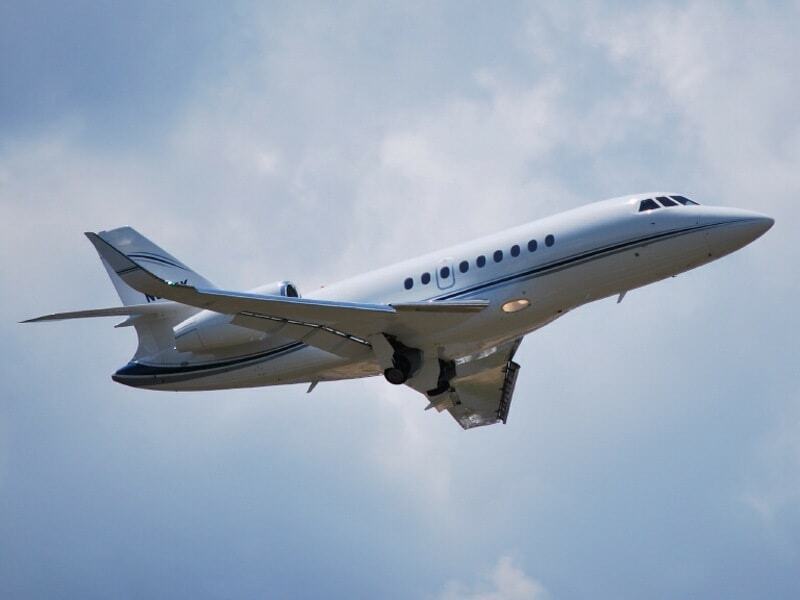 After a delectable early morning breakfast, your luxury transportation will take you to the airport for your private jet flight to the vibrant capital of Mexico City. Flick through the pages of your favorite magazine as you sip dark rainforest coffee and fly over the deep emerald forests below. Touching down in Toluca you switch to a helicopter for the transfer to to your downtown hotel. 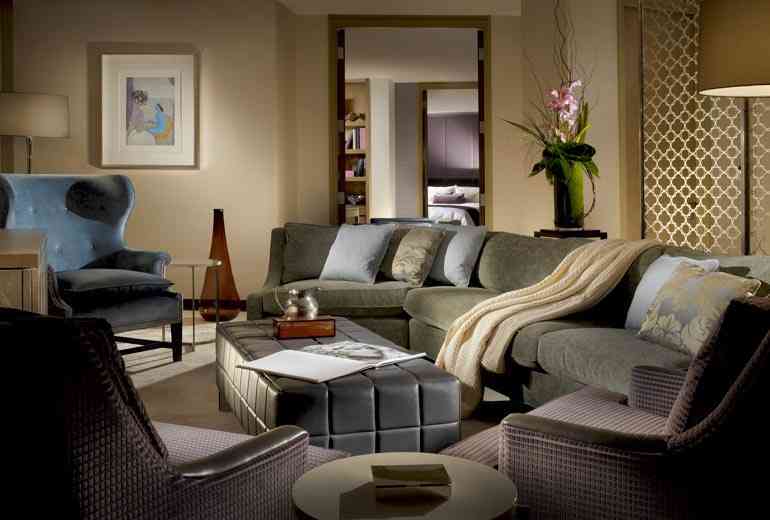 Rest and rejuvenate in the splendor of your suite at the St. Regis Hotel. 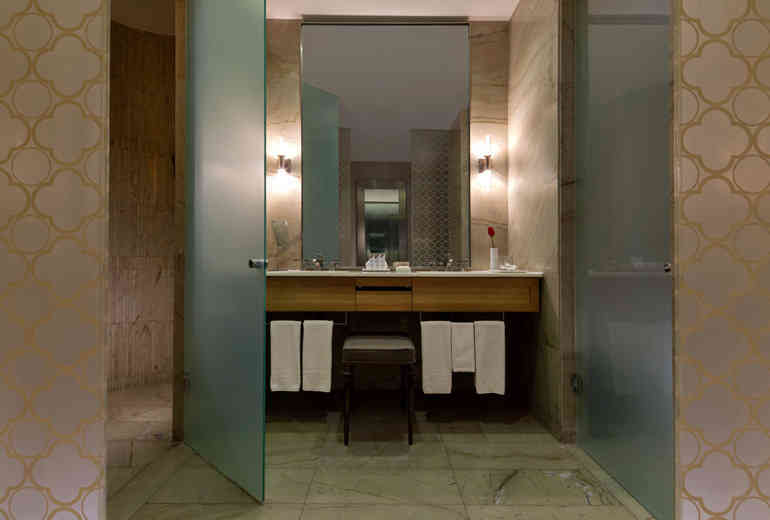 With splendid views of the Paseo de la Reforma you can watch Mexico City in full swing from the comfort of your sumptuous suite. With a butler at your beck and call, prepare for the upcoming evening with a cooling dip in the indoor pool, a soothing massage at Remède Spa or indulge in a special tea ritual. Start celebrations with a customized out-of-hours private visit of the Museum of Anthropology complete with a cocktail reception. This fascinating museum is one of the most favored attractions in the city boasting staggering artifacts and displays from across the ages. 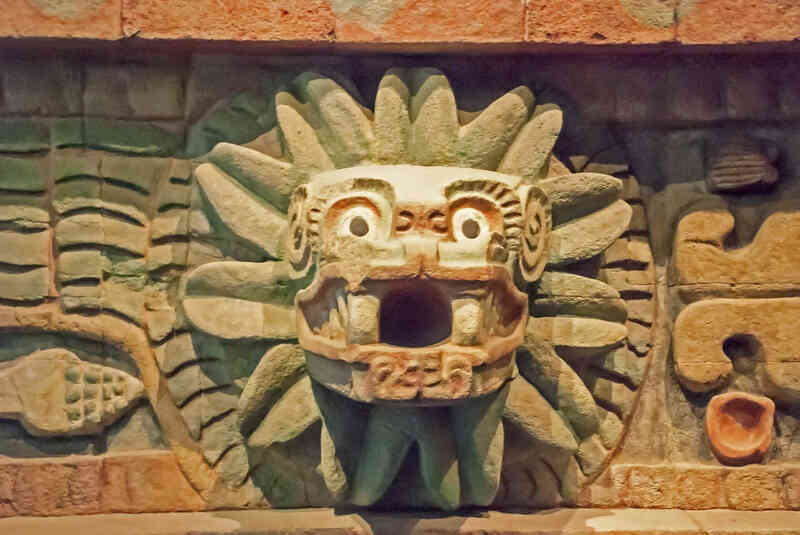 You can admire the Aztec Calendar Stone, the 16th-century Aztec statue of Xochipilli, and many more marvels housed in this illustrious museum. 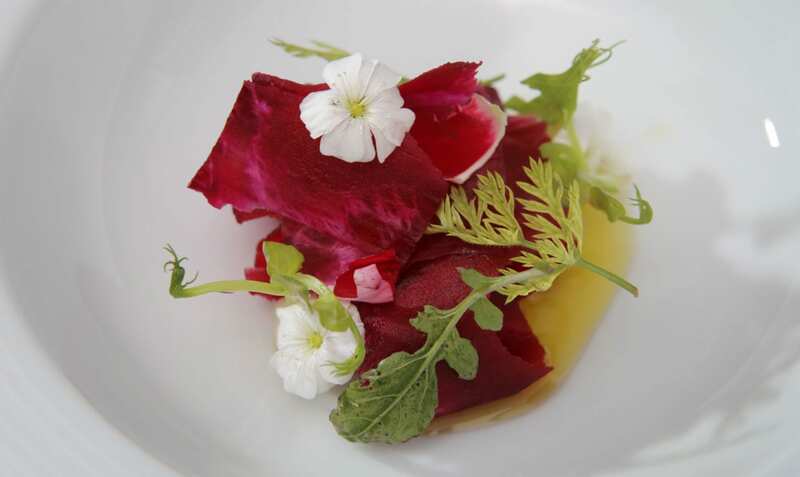 Afterwards satiate your appetite with a gourmet dinner at Pujol Restaurant. 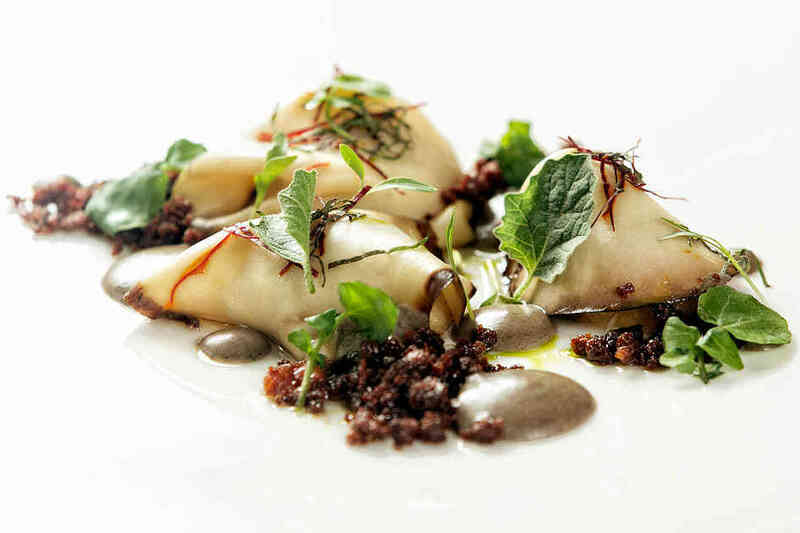 As one of the best spots to dine in the city, you can eat your way through the ages as time-honored culinary creations blend with modern innovation, striking a chord that sings from past to future with every bite. 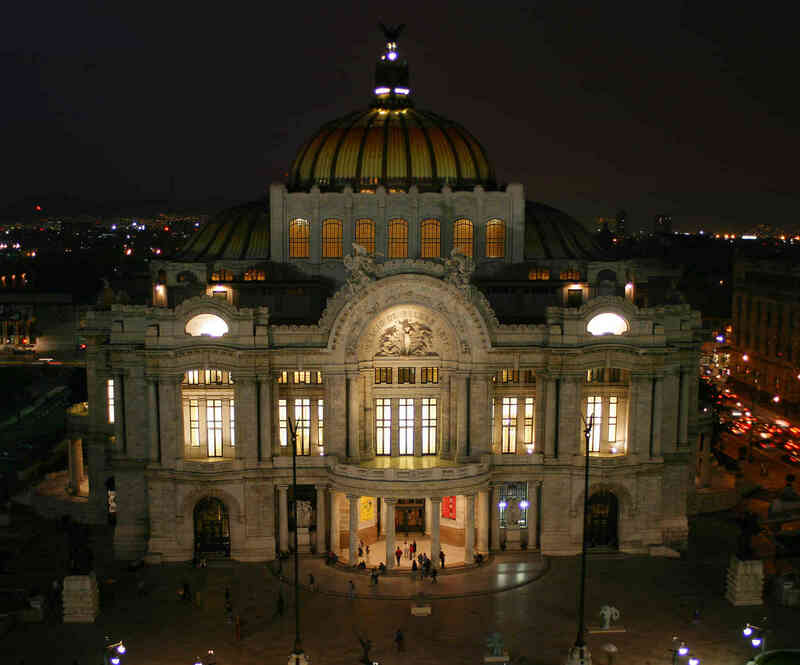 This morning you can plunge straight into the historic heart of Mexico City with a lively tour of Zócalo. Your guide will show you the finesse of this part of the city, recounting stories of amazement that make the past come to life. 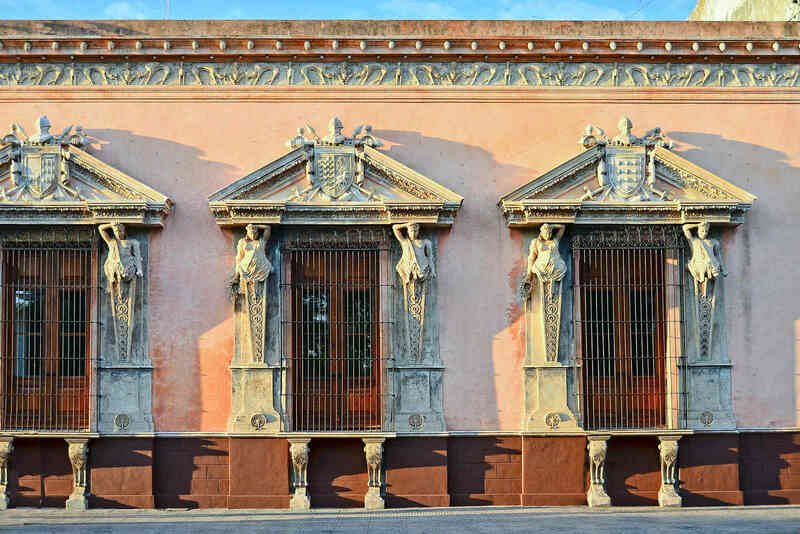 Admire the National Palace, the Metropolitan Cathedral, and the Templo Mayor; in the National Palace you can see the jaw-dropping murals of Mexican history from the notable and often controversial Diego Rivera. Finish this architectural and artistic tour with an exclusive behind-the-scenes look at the Palace of Fine Arts. With its cool pale marble façade, its evocative crystal curtain and its fabulous frescoes from the major artists your senses are set on fire when stepping through the door. 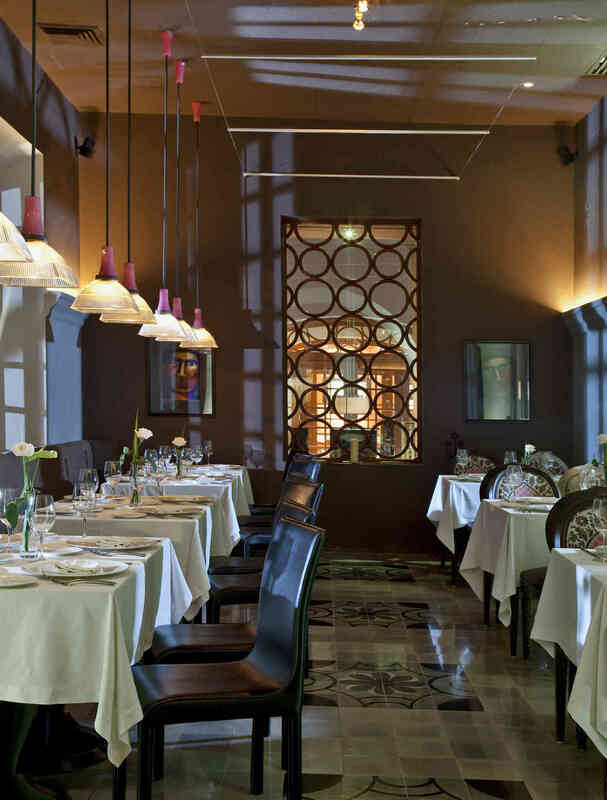 Lunchtime is another delectable affair as you stride the imposing quarried stone columns in El Cardenal Restaurant. High ceilings, zesty green lemons, tantalizing tamales wrapped in golden green corn husks and seriously energetic dishes make this eatery another gem to cherish. 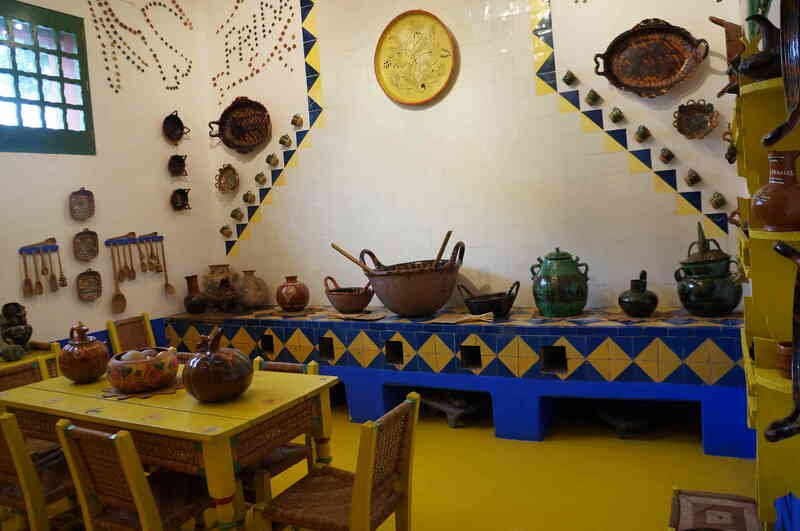 After lunch you will be swept away to the wonderland of the Coyacán neighborhood for a personalized visit of the house of Frida Kahlo. Behind the blue walls you will find a stunning oasis where the painter lived from her childhood day’s right up until her death. 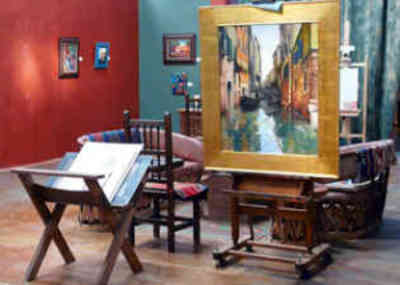 You can gaze at her proud and deeply profound paintings, walk through the rooms of the family home seemingly untouched, observe the courtyard where cacti bloom and picture the emblematic stories of her and Diego melting to life. 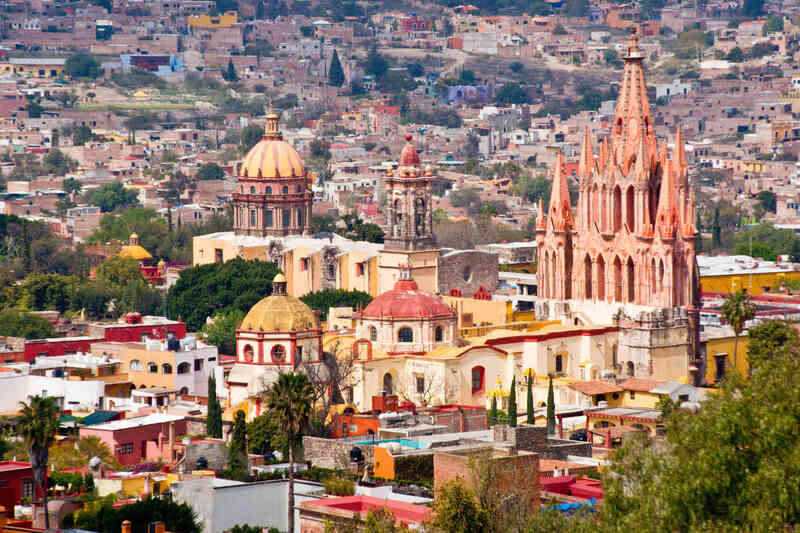 Being in the gorgeous calming charm of the Coyacán area, make your way to San Angel for cocktails at sunset. The San Angel Inn is fiery and passionate when it comes to flawlessly curated liquors and you can taste a superb blend of cocktails created from the most select mezcals and tequilas, with plump and delicious hors d’oeuvres to keep you going. 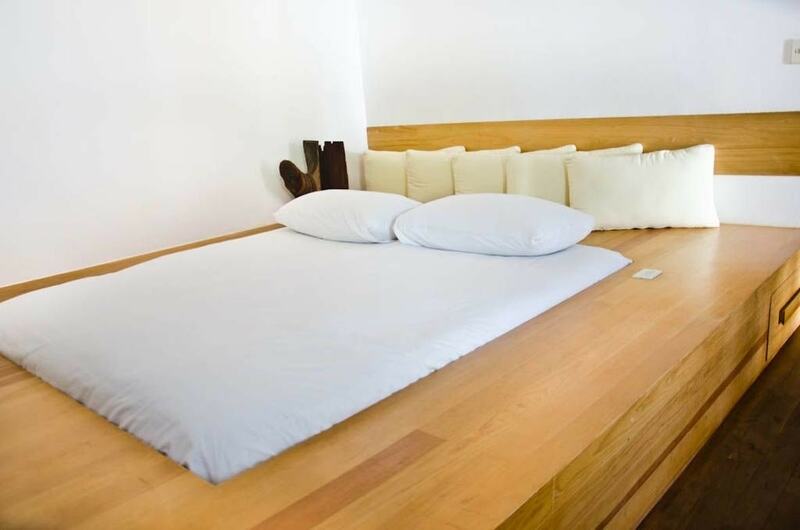 After this rich day of history, art and spirit you can head back to the lavishness of your suite for a dreamy deep sleep. You will leave the city in the same comfort you arrived, whisked above the roof of the sprawling urban jungle in a helicopter. 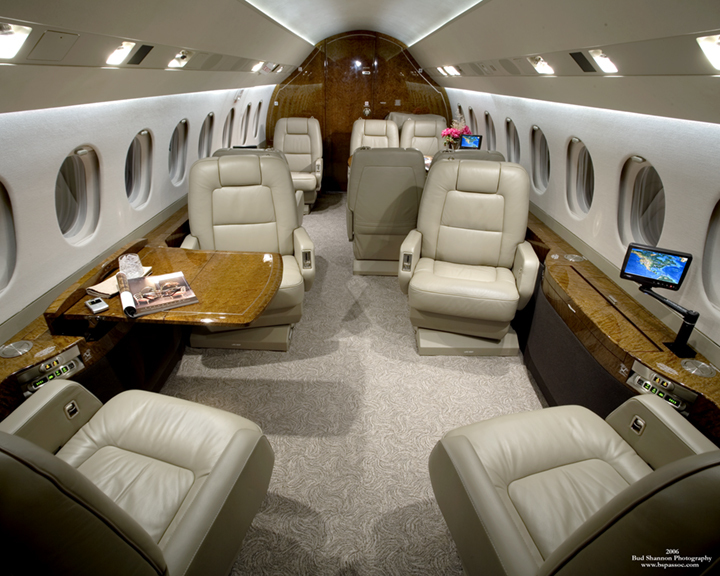 At Toluca you can switch to your bespoke private jet where the pilot will seamlessly drift through the sky taking you to the center of the bygone civilizations - to the land of Oaxaca. 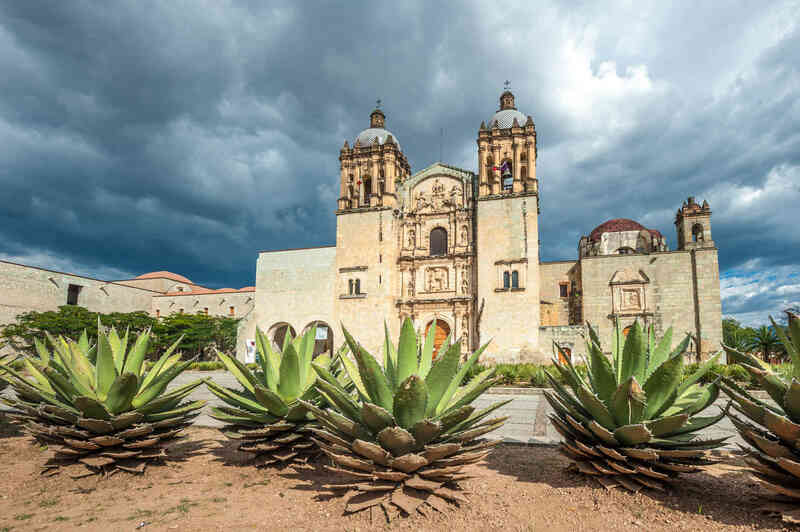 This is a region where the colonial heritage comes soaked in Spanish flair but Indian roots still grow strong, a collision of color, flavor and grace – Oaxaca is over spilling with rich heritage, lively markets, and the exotic eccentricities that make it such a wonder to behold. Walk through the glitzy center and peek into the Iglesia de Santo Domingo with its gold splashed ornamental interior, meander alongside the Cathedral with its baroque façade and browse the vibrant markets full of life. 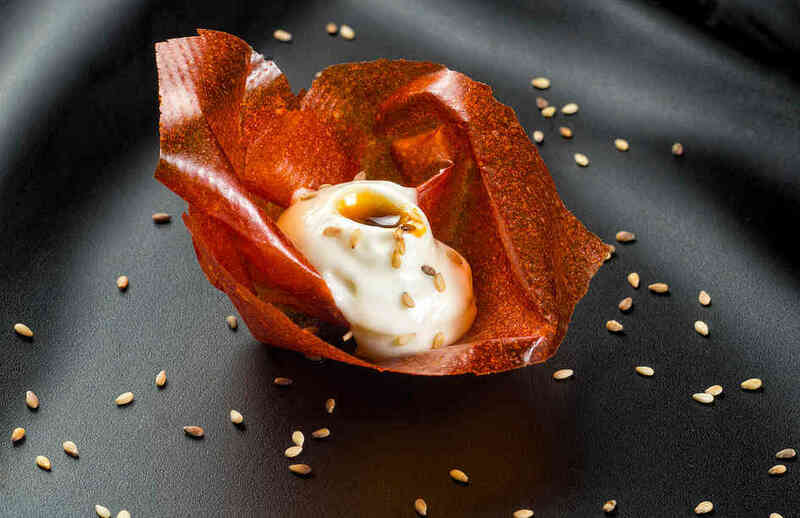 Take lunch at the Restaurante Catedral where chefs and pastry maestros work in harmony to bring the popular cuisine of the region to a whole new level, one where aroma and elegance seize the day. 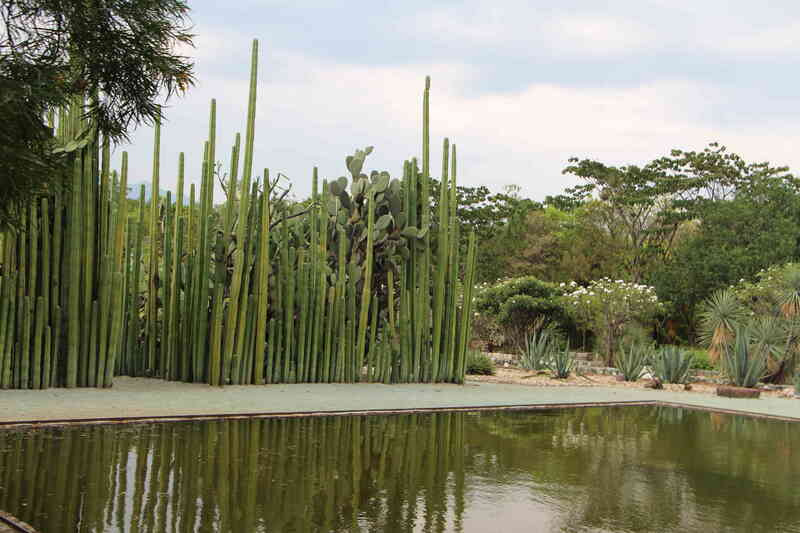 After lunch you can walk dreamily through the Jardin Etnobotánico de Oaxaca where hundreds of species of plant burst in many tinges, spilling their scent to soak the air. After a refreshing walk, it’s time to meet with a shaman who will invoke the energies in a ritualistic blessing to help clear your body, mind and heart. The experience is rare and wonderful and accompanied by native music to help you to truly enter the world of spiritual magic. Head to Los Danzantes restaurant for a dinner made with traditional Mexican cuisine ingredients delivered in a panoply of new forms and combinations. 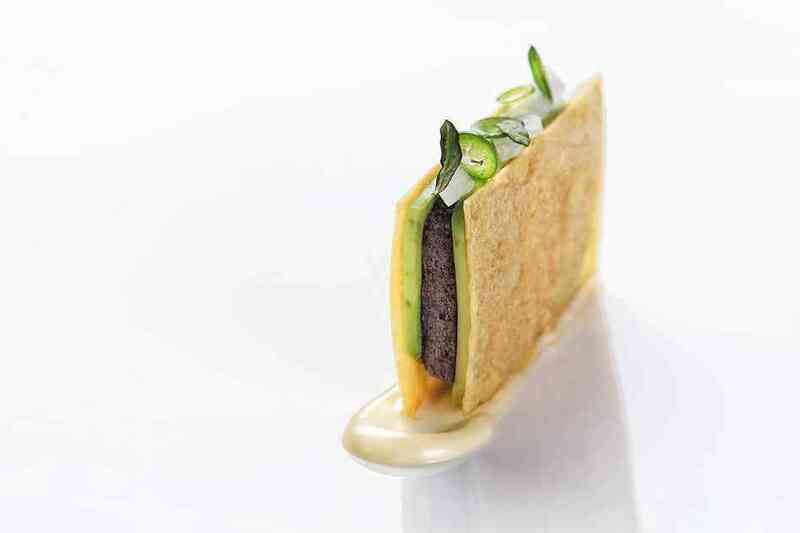 The changing menu is a constant quest to balance art and custom with new tastes and textures. Upon arrival in Oaxaca, you will have checked into the Hotel Azul Oaxaca, a property that blends the famed Oaxacan warmth with an avant-garde design reflected throughout the building, especially in their hallmark ample suites, each with its unique personalized style. 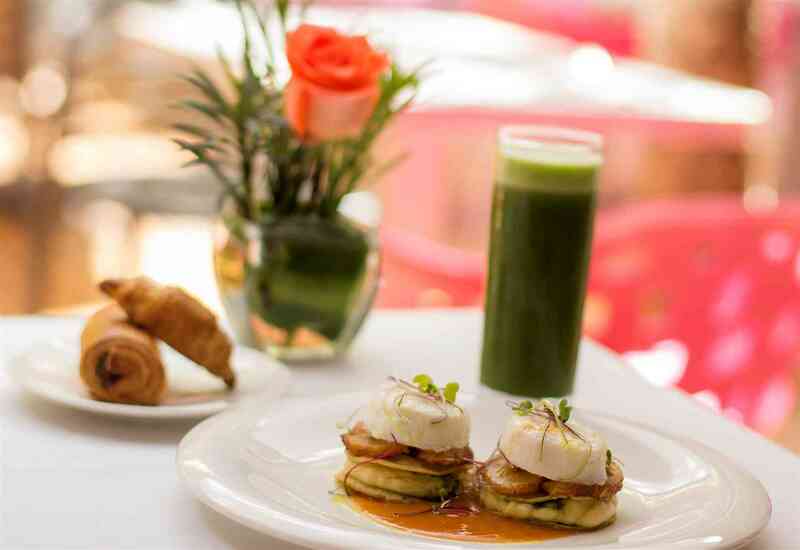 Have breakfast al fresco with the first slants of sunlight rousing your senses as you enjoy just-made juice and indulge in glorious Mexican treats. 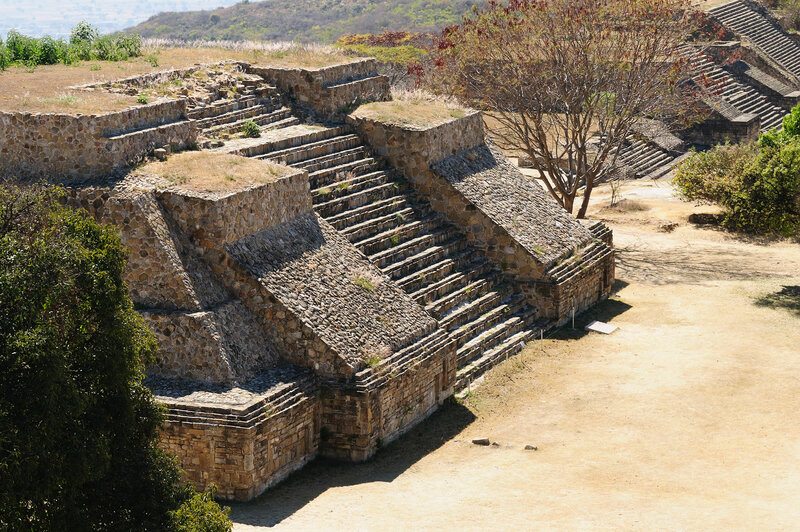 Engage in a riveting and exclusive exploration of Zapotec and the Mixtec Archeological site of Monte Albán with a renowned iconographer (∴) as your guide. Monte Albán is a locale that will have you rubbing your eyes in disbelief as you take in the city carved from the mountain staggering beneath the weight of history as it has been standing and thriving for over thirteen centuries. Terraces spill, dams stand shadowy and proud, pyramids sit beading beneath the sun and ceremonial platforms are cloaked in ethereal mystery. You can see the grandiose tombs, run your fingers over the rock carvings and hear the stories of this ancient world in a way that makes your imagination dance. 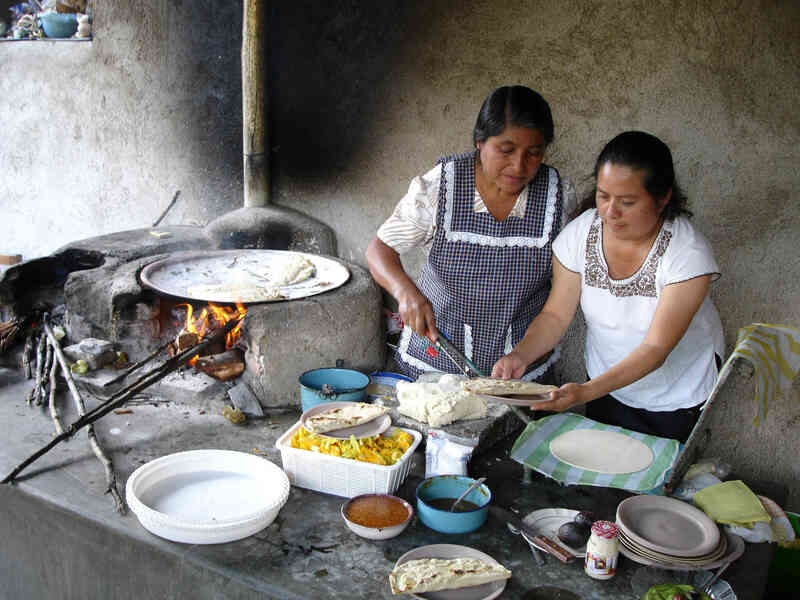 For lunch you will head into Teotitlan del Valle for a private lunch hosted by a traditional Mexican family (∴). Remark the charisma of their indigenous dishes and watch them perform an intimate weaving demonstration with this up close and purely personal experience. After lunch you will tour the much revered village of Teotitlán, said to be the first settlement founded by family ancestors in 1465 and home of the first idol. Meet with an autochthonous artisan who weaves wondrous rugs in every shade of the rainbow, depicting tales of folklore and fantasy, all by hand. 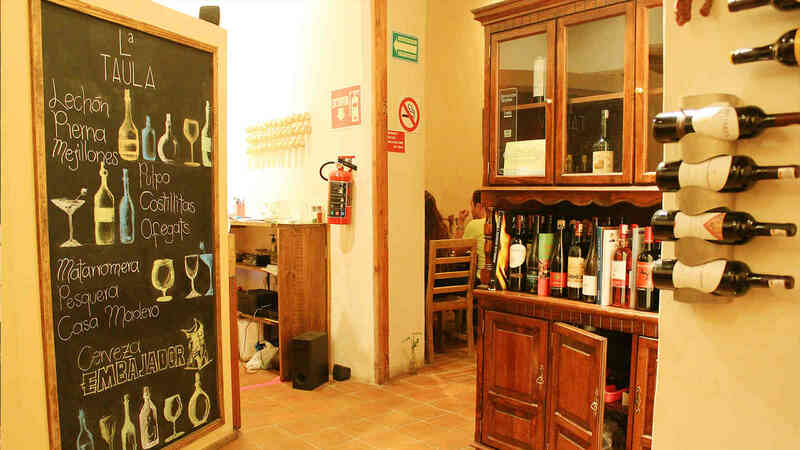 This evening back in the charm of Oaxaca you can truly let your hair down with dinner at one of the most notoriously fun restaurants in town – Mezquite Gastronomía. This hybrid tapas bar and restaurant fuses imaginative sharing plates of refined taste with lashings of mezcal and sweeping rooftop views across the city. Eat, drink, let your hands dance with artful conversation and fall in love with the sweet and sultry nights the city brings to lay at your feet. 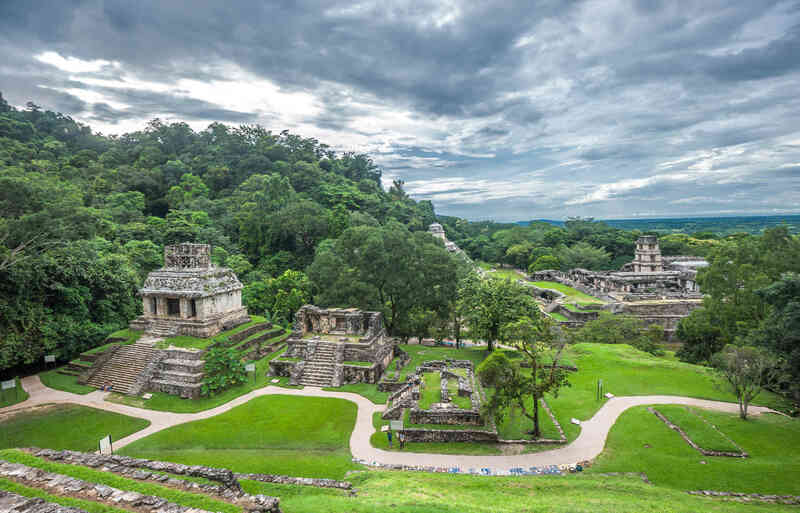 Climb aboard the tranquility of your private jet for a swift and sweet flight to the ancient marvels of Palenque. As you touch down your own personal guide is waiting to show you the secret city swathed in legend and almost swallowed by the fierce green heat of the jungle. 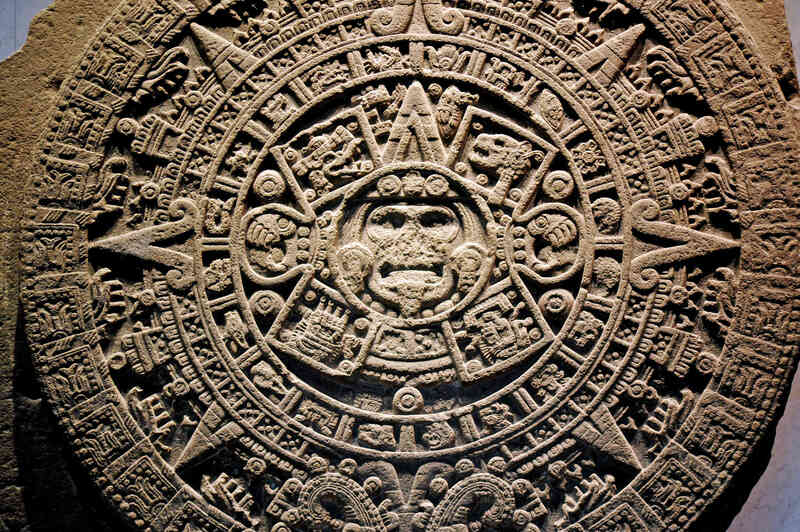 This Mayan city once flourished with prominent rulers, age-old inscriptions, sculptures and dizzying architecture. The lost world seems to linger in the bones of the stones, encroached by rising somber trees that fight to take back the land. Howler Monkeys call from the wilderness, a darker place where human sacrifices no doubt would abound back in the glory years of this civilization. 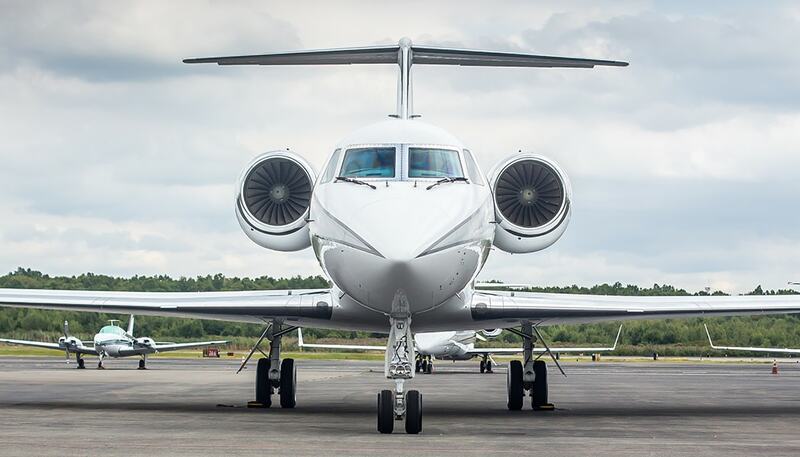 After lunch at La Selva restaurant, you can climb back onboard your private jet to be whisked away to Mérida, letting the mysteries of what you have just seen unravel with the art of conversation and speculation. 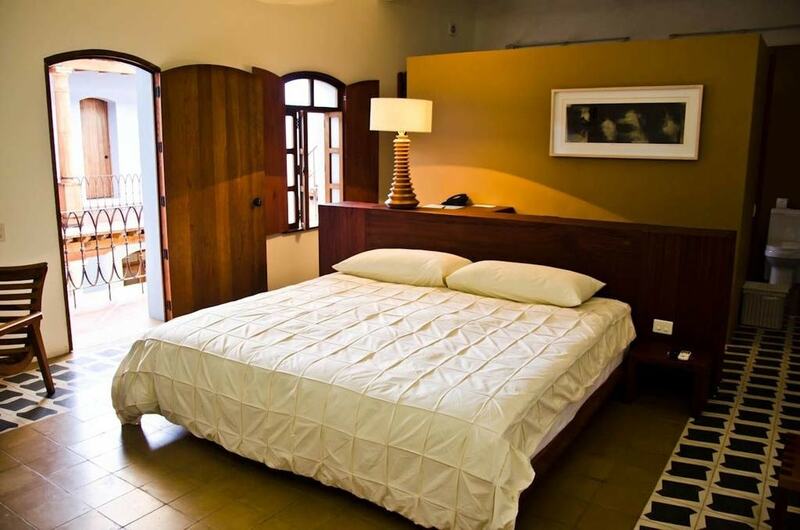 At touch down in Mérida, it’s a short ride to your charming hotel - Rosas y Xocolate. The lovely hotel sparks with old world European romance with its walls in rose hues, soft lit pool and bicycles on offer for guests to borrow. Spend the afternoon pedaling along the famed Paseo de Montejo, perusing the hotel’s chocolate shop or simply wallowing in the private tub nestled on your balcony. Nibble on the hotel’s Yucatecan classics including chicharrón de pulpo whipped up fresh from the kitchen of Chef David Segovia. Finish with some moonlit jazz and mezcal at the darling rooftop bar where the stars hang close and the vibe is as mellow as the midnight sky. 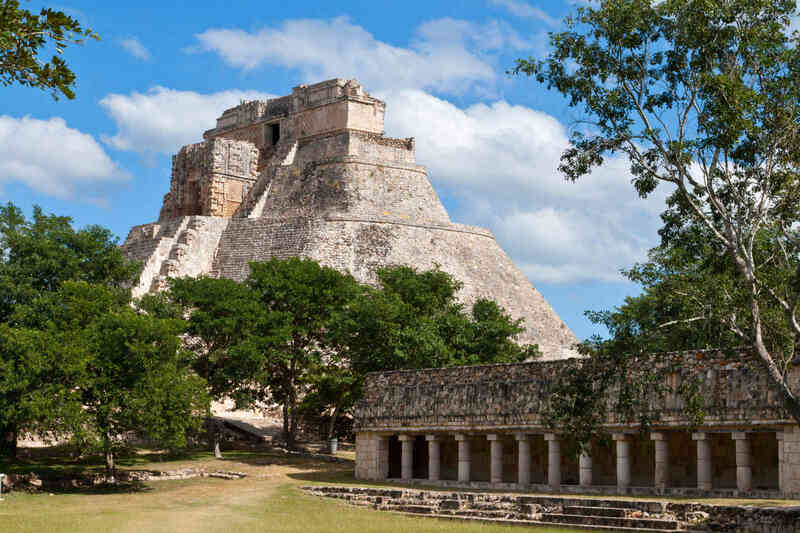 After breakfast you can spend an unforgettable day with a private guide pursuing the off-the-beaten-track spectacular Uxmal. 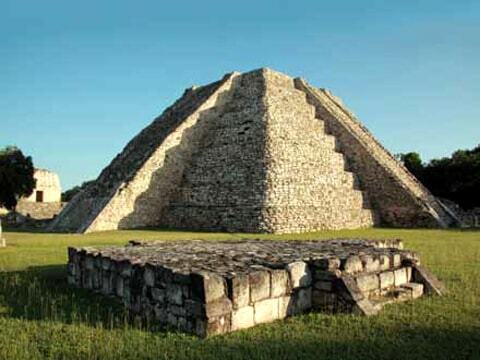 One of the major highlights of Yucatán but without the hordes of tourist crowds you can appreciate the intricate façades of the heavenly stone structures, you can listen to the enigmatic mysteries of the Mayan’s unravel and you can climb the summit of the poised Pyramid of the Magician. 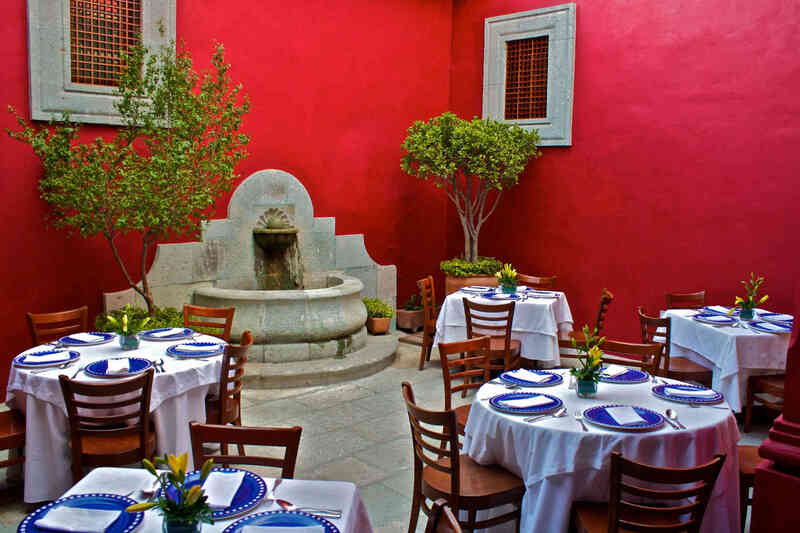 Take lunch in the remarkable Hacienda Ochil, a house where Achiote paste is highly revered and brings a splash of color and distinct flavor to every dish. Afterwards with the tang of chili dancing on your tongue you will head to the City of Five Hills – the glorious and everlasting world of Mérida. Considered one of the oldest occupied cities in the whole of the Americas you can breathe in the tales that have traversed these lands for thousands upon thousands of years. 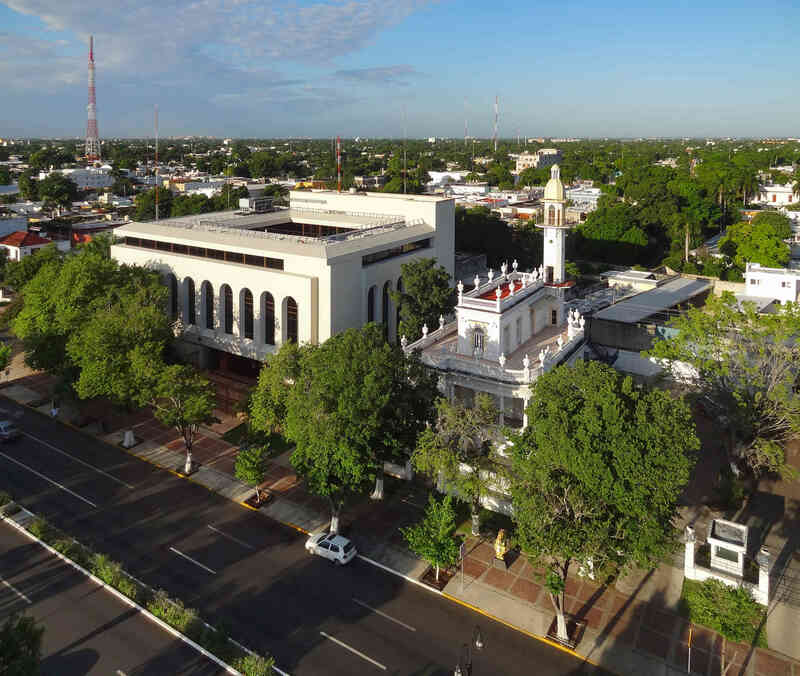 Stroll through the colonial mansions on the Champs-Élysées- style Paseo de Montejo and the graceful cathedral. 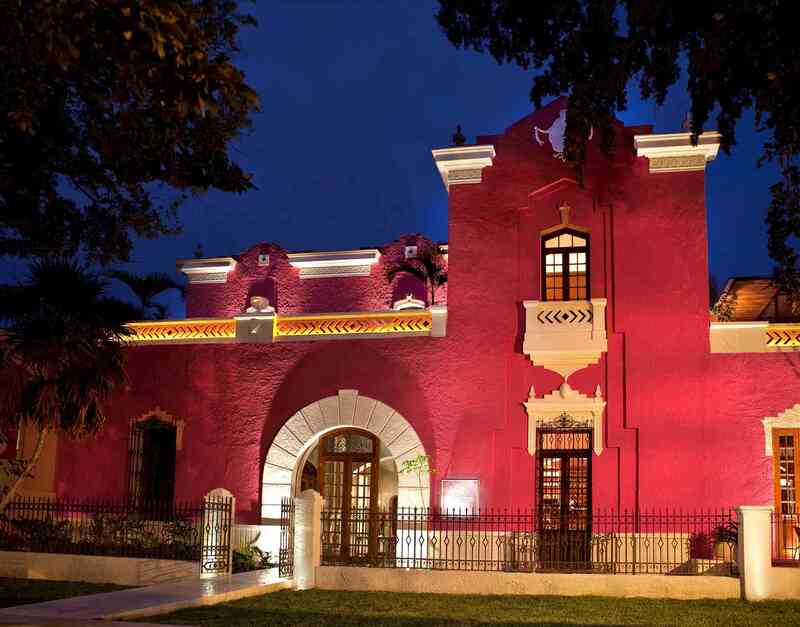 Dine in an XVIII century hacienda at the Casa de Piedra. 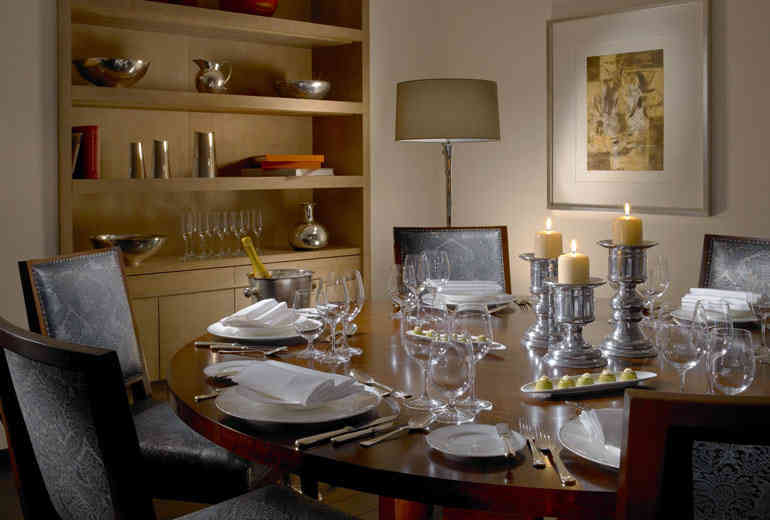 The ornate decoration is as rich and elegant as the dishes that come whizzing out of the kitchen. 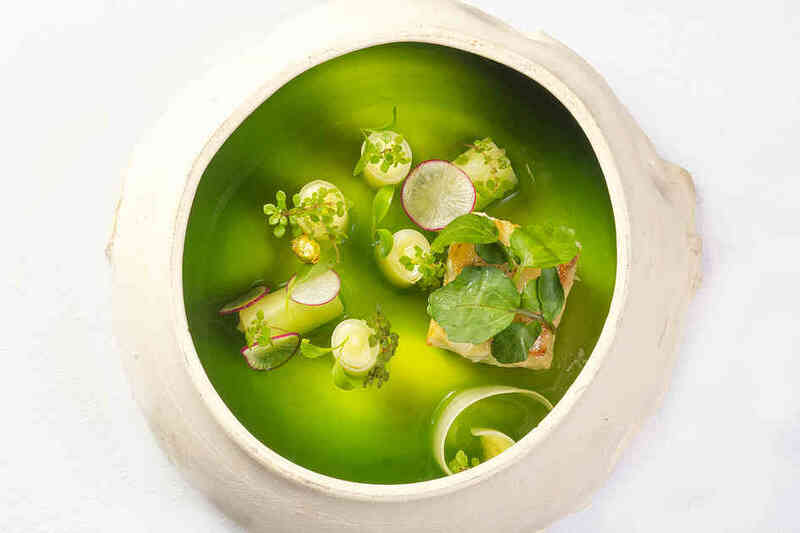 You can delight in regional ingredients melded with Caribbean flair all woven together with the timeless techniques of French cooking. 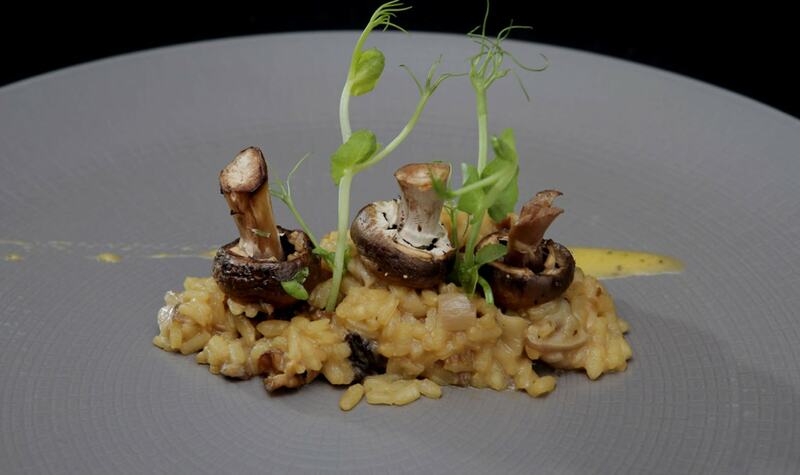 The experience is a culinary journey like no other. 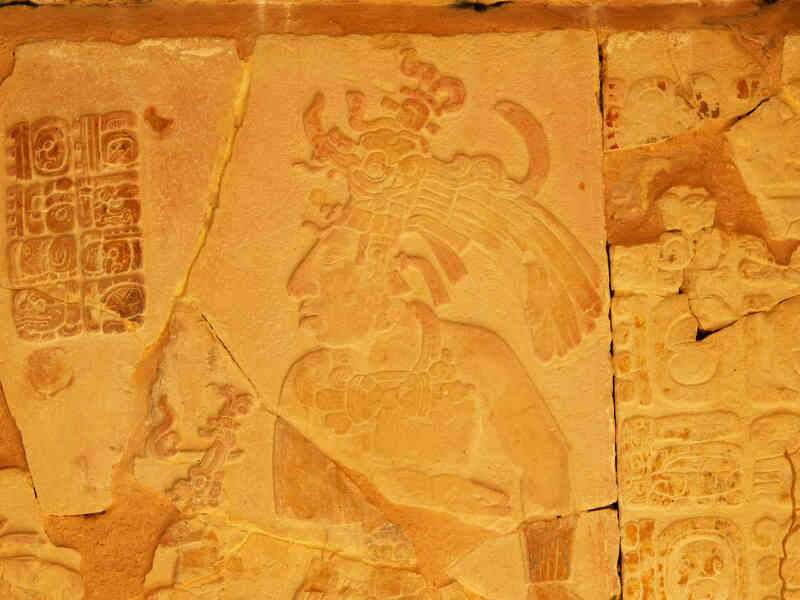 Mexico is a world filled to the brim with ruins and antique splendor and today you have the chance to witness more of the enigma that is the Mayan people with a visit to Mayapán. 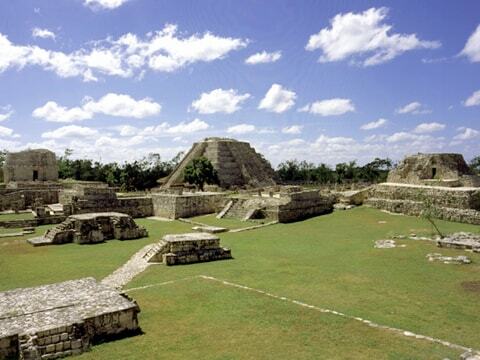 Once upon a time Mayapán was the heady political and cultural capital of the Yucatán Peninsula. The evidence of a flourishing city is there as you discover the well-orchestrated dwellings, the golden preservations of a city whose inhabitants are now lost and a civilization that stood on the brink of knowledge. 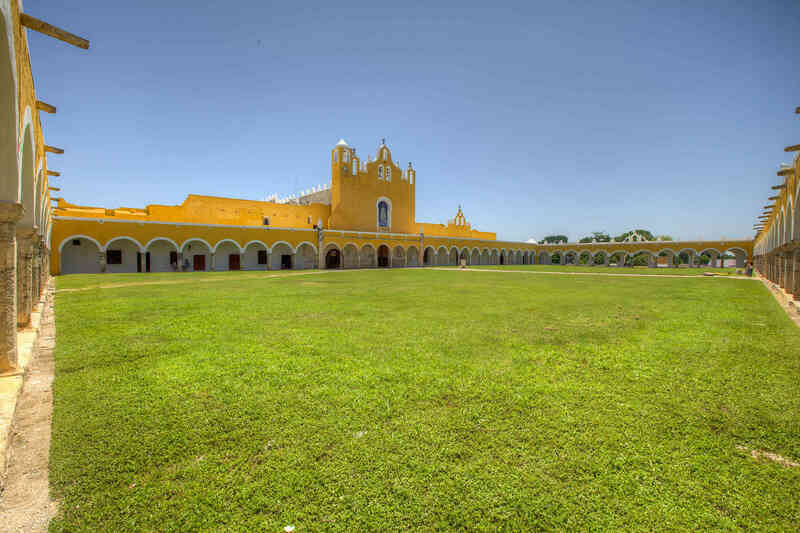 After another delectable lunch at Kinich in Izamal you can see the so-called al city in all its splendor. 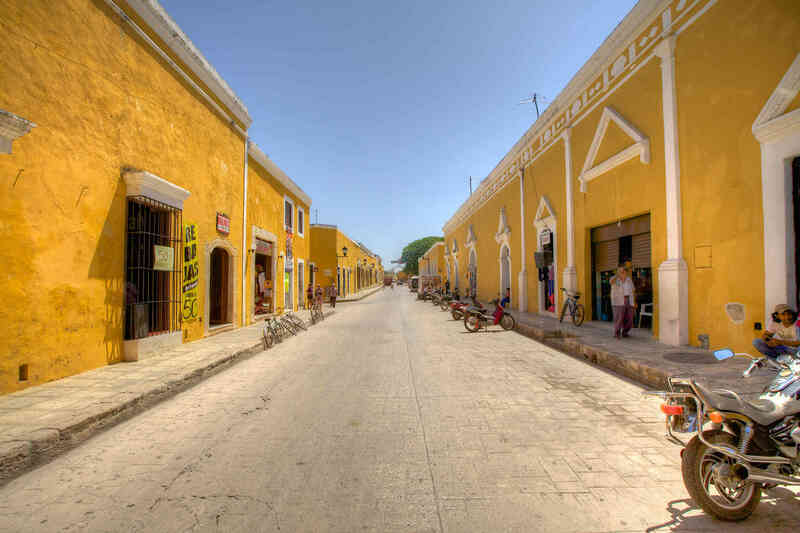 This is a locality where the buildings are painted in egg yok yellow, where workshops are teeming with artisans waving hammocks, crafting jewelry and painting and where the gilded monastery oozes spiritual appeal and a bright delightful façade. You can have the rare opportunity to meet with a healer at in Centro Botánico who will showcase his skills at handling herbs and plants, mixing them to create healing mixtures for many ailments. 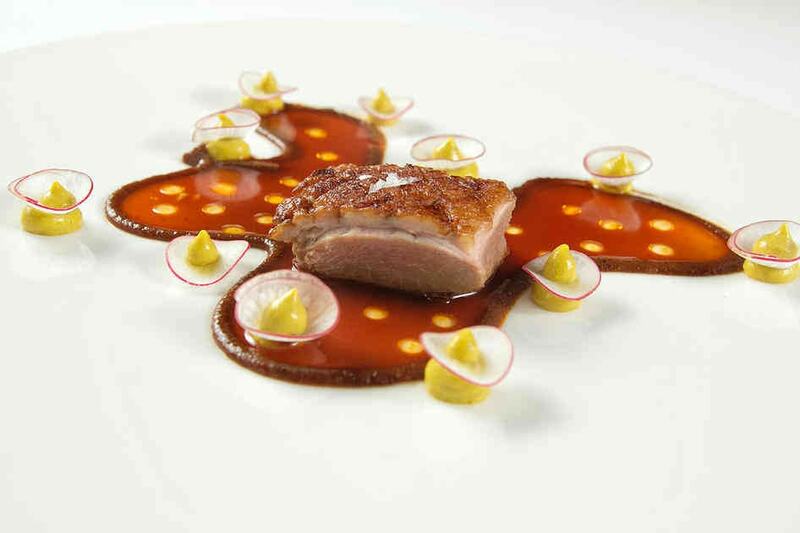 Be ready to take a journey through the allure of molecular gastronomy with a farewell dinner at K´u´uk restaurant. 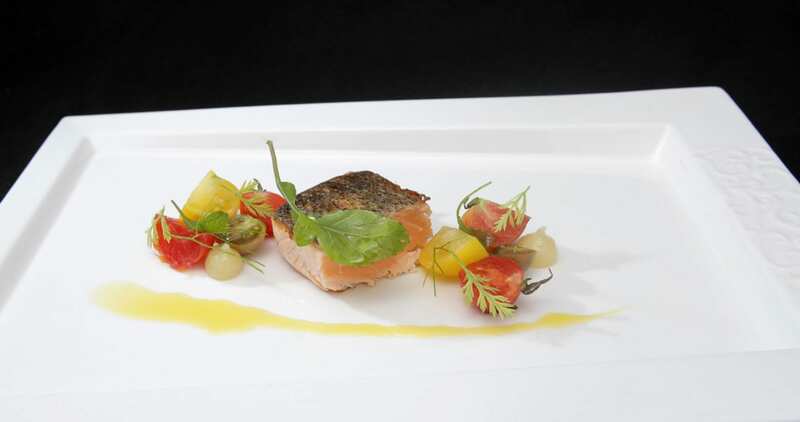 Dishes crafted from heaven and painted on the plate so beautifully flow and ebb from the table to the kitchen all complemented with world-class wines. 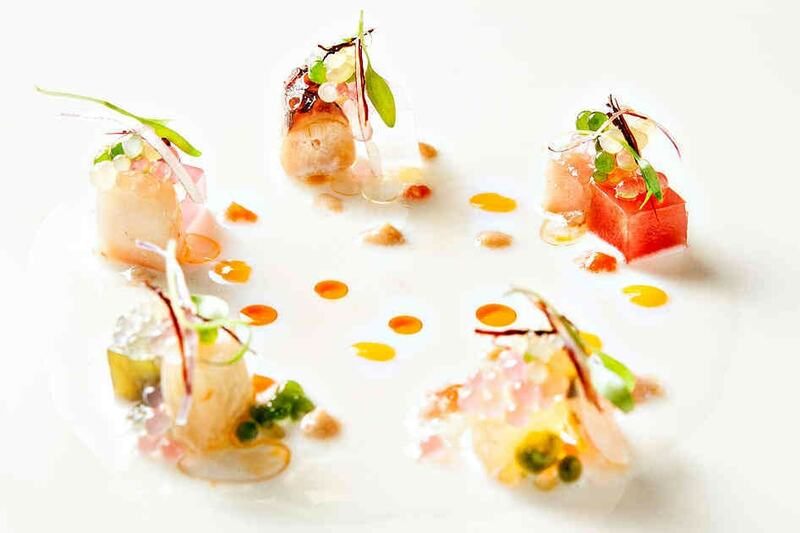 Each morsel will play a symphony on the senses as you dabble in fine dining, exquisite wining and chatter alive with animation over the sights you have seen in Mexico. This morning after a final breakfast in your hotel you will be transported in luxury back to the airport for your flight home. 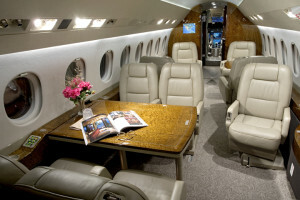 As your private jet lifts higher and higher you can sink into comfortable bliss, let the staff bring you one last celebratory shot of the choicest tequila and raise a toast to an adventure that seemed to traverse everything from old mysteries to romance, artistic flair and culinary craft – the true charisma that makes Mexico so special. 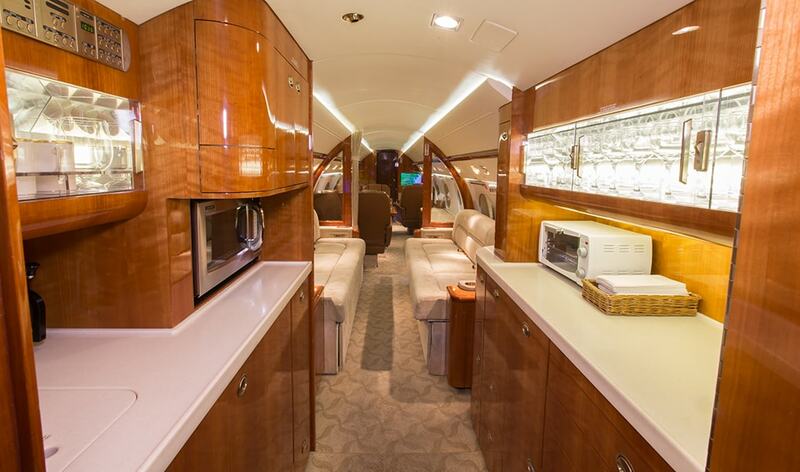 This aircraft is suited for groups up to 12 guests. 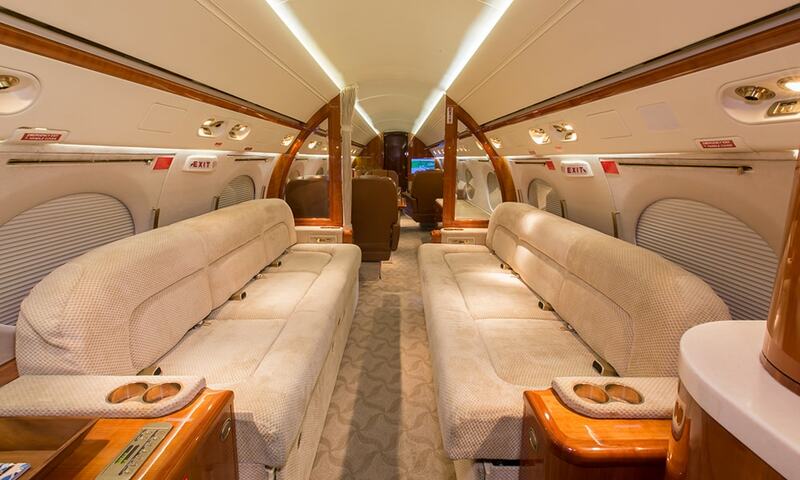 Prices begin at $26,700 per person for a group of 10 guests flying from the East Coast. This is the aircraft of choice for groups up to 16-18 guests. 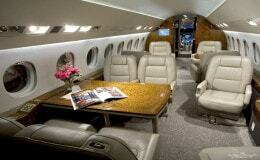 Prices begin at $35,900 per person for a group of 12 guests flying from the East Coast.